The Next Generation in Rod Holder Accessories - The Interchangeable Deep Blue MultiSystem. 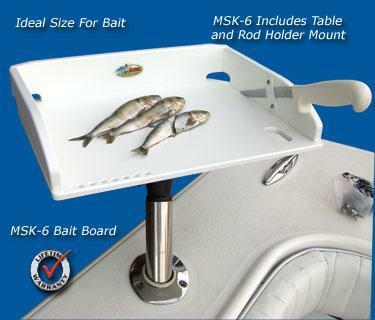 The only multiple use rod holder accessory system available! 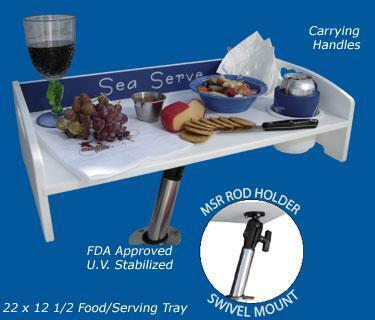 One MSR Swivel Mount is all you need to hold many different accessories in any rod holder at any angle. Simple to use, no tools are required to change products. Change your bait board to a food tray in seconds or refill your reel quickly and easily. Saves money, save 50% or more over comparable individual accessories. Don't settle for anything less! Lifetime warranty A nice addition to any boat is a place to prepare and serve food. Now you don't have to use the bait board when it's time to eat. The Sea Server comes with 2 recessed drink holders and will sit on it's own legs and may be carried from place to place or may be mounted on the MSR. Lifetime Warrantee. 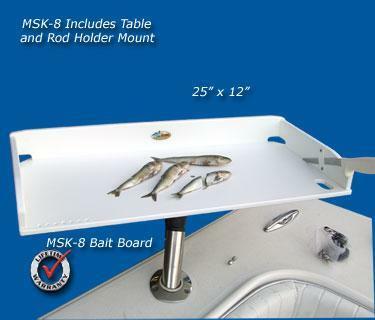 One MSR Swivel Mount is all you need to mount the Multi-System accessories in a rod holder. This versatile product is designed for the marine environment with it's stainless steel rod holder insert and glass reinforced swivel mount. 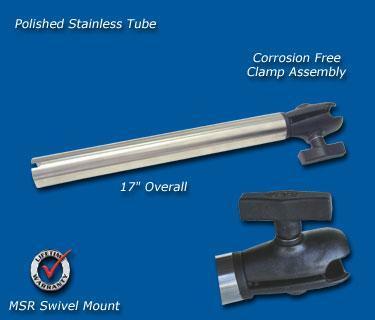 Corrosion resistant design will never rust or need maintenance Approximately 16 1/2 inches long overall for use in most all rod holders. The Next Generation in Rod Holder Accessories - The Interchangeable Deep Blue MultiSystem. The only multiple use rod holder accessory system available! 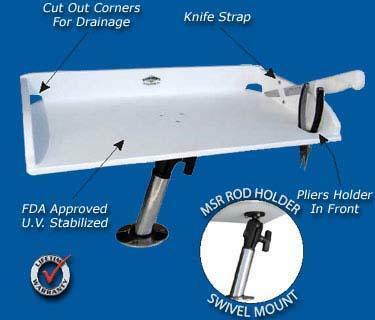 One MSR Swivel Mount is all you need to hold many different accessories in any rod holder at any angle. Simple to use, no tools are required to change products. Change your bait board to a food tray in seconds or refill your reel quickly and easily. Saves money, save 50% or more over comparable individual accessories. Don't settle for anything less! Need to refill a reel? the MS-3 Super Spooler holds most any spool from 1/4 LB to 5 LB. Mount to your MSR and start reeling with this option. 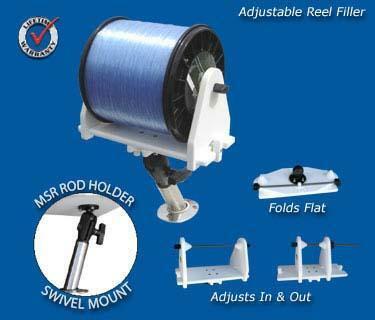 Other rod holder mount reel fillers sell for $150.00 or more but this lifetime guaranteed accessory folds flat when not in use and quickly mounts to the MSR when needed. Lifetime warranty. 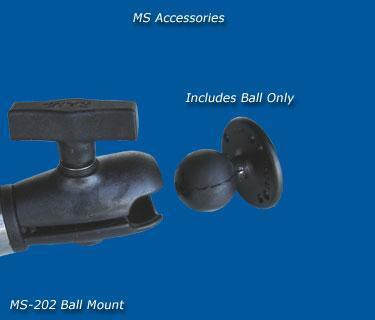 Extra ball mount fits MSR for mounting to parts other than MultiSystem components.